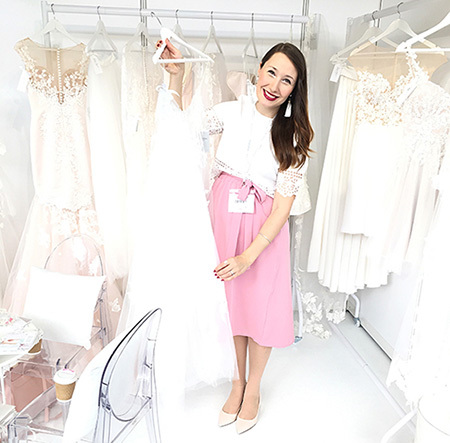 In this article, we hear about the support that revolutionary bridal design company, Dajana Basic London, received from Retail Marketing Ready (RMR) to grow their business and market presence. Dajana Basic London is a bridal design company, providing bespoke bridal gowns. 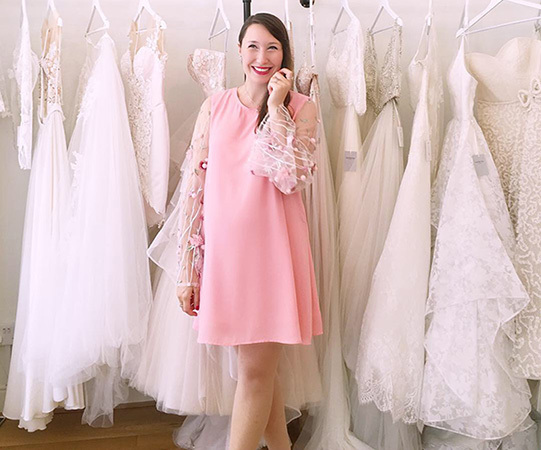 It’s a true trendsetter – moving away from traditional white gowns towards delicate pastel shades instead. Their target market is the young, modern bride, who wants to wear an eye-catching, elegant dress when she gets married. Dajana first found out about Retail Marketing Ready (RMR) by attending a start-up masterclass. She found that the course as very tailored to her needs, and was able to learn a lot of topics to help her in developing her business. Meeting other entrepreneurs at the related RMR networking event enabled her to share ideas and learn tips from others. Having had a taste for what RMR could provide, Dajana decided to see what else was on offer, and signed up for mentoring from one of our RMR marketing advisers. By meeting for regular 1-2-1s with Alba, one of our marketing professionals , Dajana was able to work on her marketing strategy and planning with the RMR advisor, exploring activities such as website optimisation, organic marketing, Pay Per Click advertising and how to get the best from engaging using social media. “It was great to get professional advice from Alba on how our brand was doing, help with our marketing strategies and campaigns, all of which helped to increase our brand visibility and reach more potential customers”. Now with a solid marketing plan in place, which she has started to implement, Dajana is already seeing concrete results. The traffic to her website has increased, and with it her brand’s visibility. She has been able to increase her customer-base as a result. She has also built a strategy for her first fashion show, and developed ideas for the campaign to market it effectively. With the increase in sales, she has been able to hire her first marketing intern, and is working with some freelancers who also contribute to her marketing activities. She feels that RMR has really helped here to find a unique space in a very competitive industry, and to be able to differentiate her products successfully from the competition. Without help from RMR, Dajana says they would never have used social media, or had a marketing strategy that generates the level of brand visibility that she is enjoying now. Dajana says that she would definitely recommend RMR to other start-ups and medium sized businesses. “RMR provides a really personal approach. They push you to think differently and bigger, and will make a really positive impact on your business”.